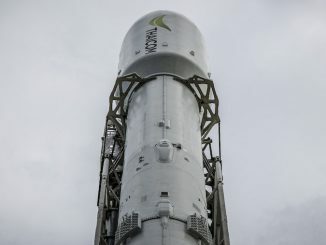 A European Ariane 5 rocket climbed off its launch pad in French Guiana with nearly 3 million pounds of thrust Thursday, carrying two communications satellites to orbit for the Japanese military and British-based Avanti Communications. 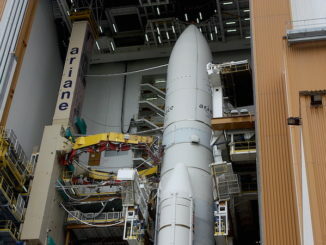 The nearly 180-foot-tall (55-meter) Ariane 5 launcher took off at 2134 GMT (5:34 p.m. EDT; 6:34 p.m. French Guiana time) with the DSN 1/Superbird 8 and Hylas 4 communications satellites. It was the 98th flight of an Ariane 5 rocket, and the second Ariane 5 mission of 2018.